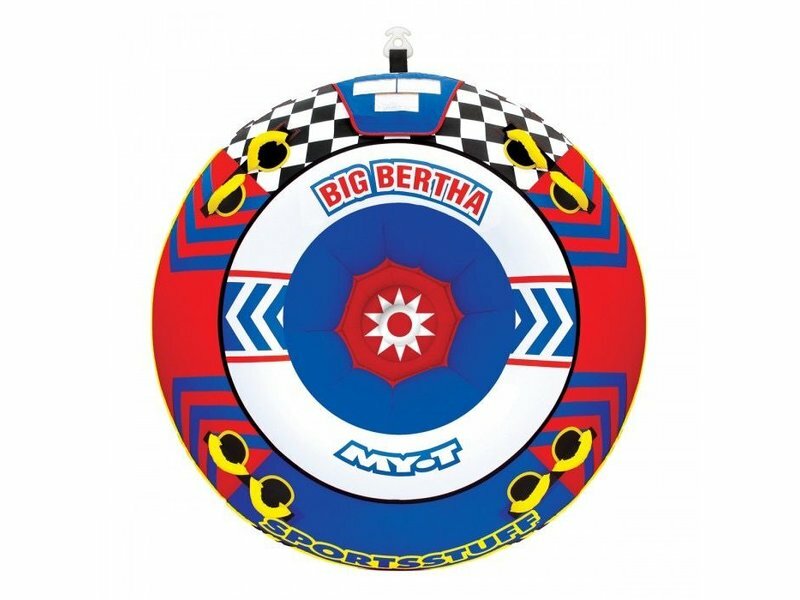 Get ready for big fun with the all new BIG BERTHA! 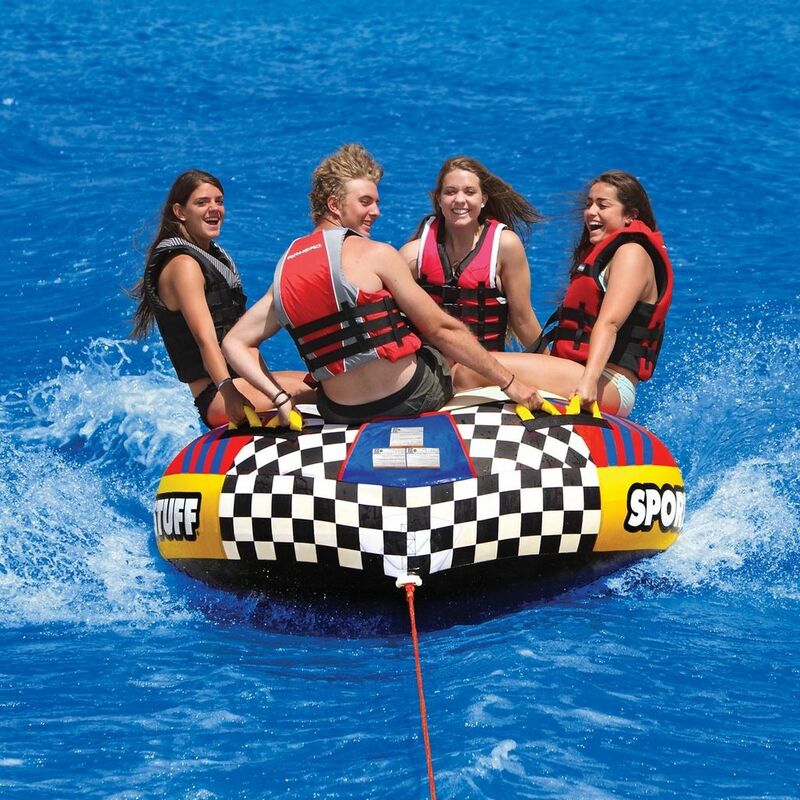 This giant 4 person classic action towable is updated with state of the art features such as a new air cushioned floor, non slip cushioned handles with padded knuckle guards, and a fast and easy Quick Connect tow system. 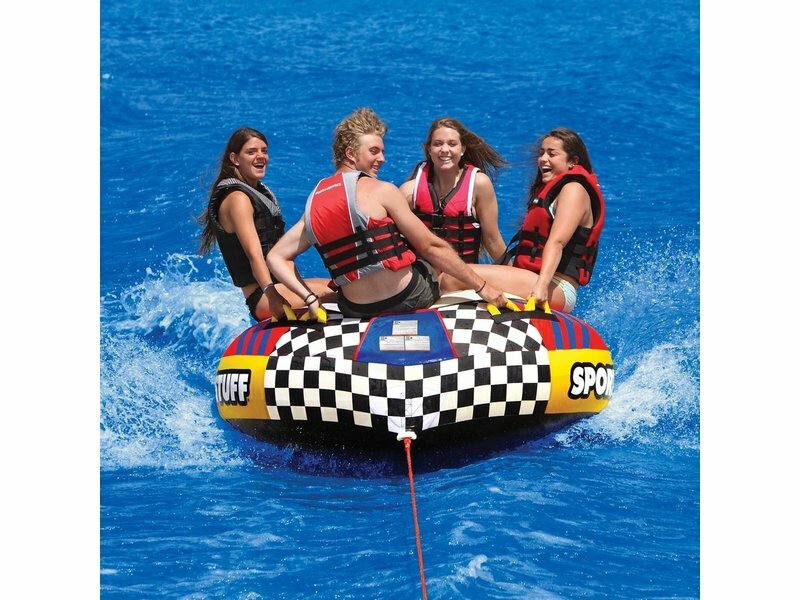 Just slip your tow rope over the Quick Connect and you're off and tubing. 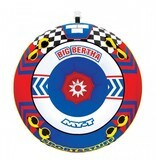 The BIG BERTHA is built heavy duty and is fully loaded. Grab the gang and create your own riding experience. 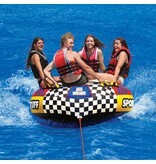 Ride with 2, 3, or even 4 of your friends, or you can try tackling this monster by yourself. 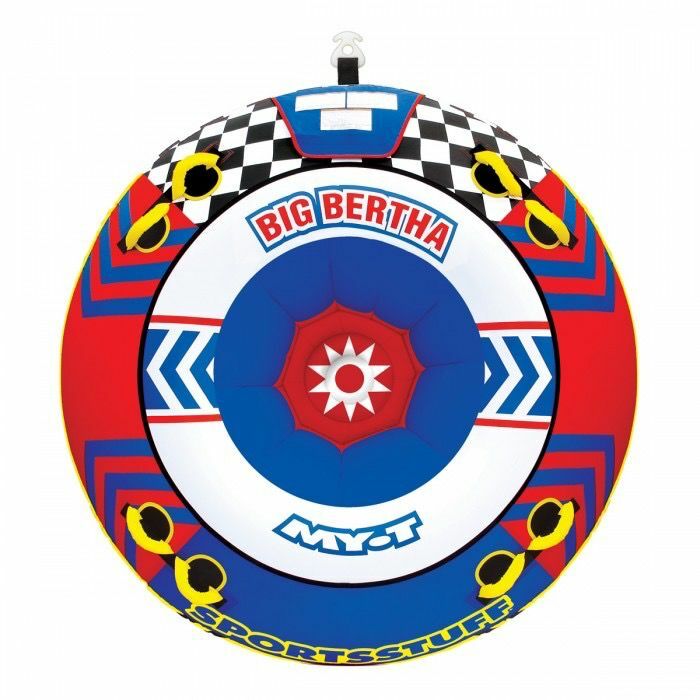 Hit the lake this summer with the all new smooth riding BIG BERTHA!